May 2012 | Manny Vergel spaces out! While the server is down, I'm gonna blog about an issue I found in my Optimus-enabled laptop. For those who don't know, Optimus is a technology by Nvidia that allows the laptop to shift between the discreet video card and the built in intel video card in real-time depending on the need of the system in order to save on precious battery life. The issue is Diablo III doesn't use the Nvidia card and continues to use the Intel card resulting in poor performance. I've verified this using GPU-Z. I was surprised that even the login screen is choppy / laggy. 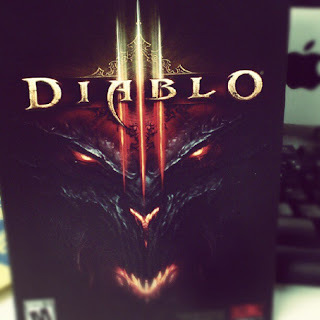 The workaround: Right click the Diablo 3 icon / executable > Run with graphics processor > Select Nvidia card. This significantly increased the performance of the game. If you don't see the option "Run with graphics processor" option in your context menu, go to Nvidia Control Panel, click "View" menu then select "Add Run with graphics processor to context menu" option. [update] For those experiencing crash, lockups, freeze, hangs in UL80JT. Try to update your BIOS to version 215. This is one of the weirdest things I've done in my entire life. 3 years ago, I wrote a letter to my future self (10 or 20 years ahead) and I just read it now and it's really freaking me out, well for one because of my picture there, black and white, it's like I'm already dead or something haha! The blog is located at http://blog.360.yahoo.com/blog-MKYBCjc8eqgPYzjyae797.OBrQ--?cq=1&p=119 for those who're interested in this weirdness. [2012 manny] Ok, our Yahoo 360 blog doesn't exist anymore, I don't know if we saved it. I wish we did, and the fact that I'm referring to us in plural form is freaking me out! 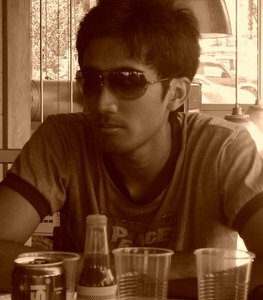 [2012 manny] Not bad :))) So before before it was black and white, and this one is sepia. Still look dead to me lol, next time I should use a colored one, or maybe effects like this is okay for added .. uhh ... effect. To my past self... technically that letter is not meant for me yet because I'm still the +3 years version of you. Reading that letter again after a while made me realize how optimistic and passionate you were, and you still are, but in this time you are a little weary with the things that are happening around you. I really like it when you said "because you might end up giving all your heart to her. If you lose her, you'll lose everything, andyan pa naman si God eh, don't forget that, when men fail you, God will not", and in this point in time I'm holding on to that truth. [2012 manny] Thank you for reminding me about this one. I've disappointed you with the things I've done, I know, and I'm not proud of it. My convictions have fallen to the ground but I'm slowly picking up the pieces. [2012 manny] Ok, I've done worse. Funny I still am concerned with my simple joys and the littlest of things, how I still believe in "magic" and serendipity. Still a hopeless romantic. Mababaw lang naman tayo eh, and I think this who you are and it won't really change much. [2012 manny] Agree 100%, we'll be forever like this, gift and a curse thing. Beyond the tragedies of life, I can still say that I'm doing good here, well in work, currently I'm slumped but pay is good and I still enjoy at what I do best, and in love life... hmmm wag nalang. [2012 manny] Would you believe I still work there, LOL, talk about loyalty. I know you have tons of circle of friends there, and you still do here although you'd be surprised because what you thought were impossible like losing some friends, breaking hearts, and the likes took place here. All hope is not lost though... sabi mo nga "Continue to be on fire for God there, remember, you cried your heart out because of His love"... Yep, I still remember. [2012 manny] I'm over Starbs cappuccino, I'm liking CBTL more. It's almost midnight here, and here I am again, writing a letter. If you can still remember, you were here in your Kuya's crib staring at your widescreen lcd monitor with your ever faithful computer named Lemon. [2012 manny] It's 11PM here, nakalaptop na ko ngayon, d ko na nagagamit si Lemon. You already sold the old one, then painstakingly researched for the high end but affordable computer part by part and assembled it yourself and it was good. I really do not have much to say to you, just a summary of what I learned here and I tell you, don't forget to love yourself, that's one thing you were struggling to do here, and don't lose yourself again because you drag people down along with you, you're like a virus and you become a menace to society hehehe. [2012 manny] I'm starting to love myself, thankfully. I've already learned so much, and have better self control this time, well.. most of the time, just avoid getting too drunk. As my past self said, continue holding on to God's promises. You are currently single here and I don't know how long you can stay single because I know you always want a witness to your life. [2012 manny] Wow you're like a mind-reader, but I'm, once again, single. You enjoyed one on one talks, not necessarily dating but just talking about stuff with another soul. You just watched a movie by yourself here (remember? Kung Fu Panda!) and found out it was not good doing it alone hehehe, so most probably upto your time there you haven't watched another movie without someone else by your side hahaha! [2012 manny] Oh em, I remember. And yes, you are correct! I won't ever repeat that experience again! Still haven't found the ultimate steak house, the one with thick, juicy yummy yet affordable steak, I know it's hard to find that, just like finding yourself if you can still vividly remember, but don't stop trying, you'll find it. [2012 manny] Subic meat plus is good, House of Minis C5, Bugsys, and Gullivers are also good but no bestest steak ever, yet. I trust you future manny, that you are now much better than what you were and you continue to bring life to the people around you. Your life may not be as simple as it used to be, but it shouldn't let you down. This version of me is not really the most encouraging one don't you agree, but I'll get there, and move forward to who I'm destined to be... and destined to be WITH bwahahahaha! Woot! [2012 manny] Dar n, I need encouragement at this point in time but it's okay. Overall I'm happy with what I wrote 4 years ago. Maybe I'll write a similar letter again soon. I don't know if this thing is a disorder, like, am I on the verge of schizophrenia? Who cares, I enjoy this haha!